Love being by the coast but want a little less hustle and bustle during your next trip? If that’s the case then check out our sister properties in Santa Cruz and in Morro Bay! Featuring 54 recently renovated guest rooms and suites, each equipped with all the modern amenities. Enjoy complimentary WIFI, flat panel TV with HBO, in room coffeemaker, mini-refrigerator and much more. Morro Bay is the ideal destination for your next trip, anywhere from a quiet romantic getaway to an activity filled family vacation. Come and fully experience this historic fishing town through hikes, bay cruises, wine tastings, golf courses and much more. 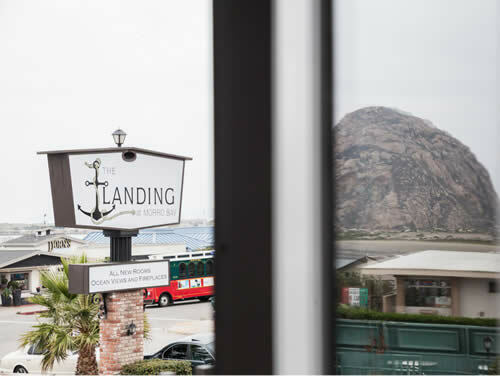 Located just one block from the water, The Landing at Morro Bay offers breathtaking views of the water and the beautiful little fishing town that is Morro Bay. The close proximity to the Embarcadero allows you to experience the beaches, restaurants, shops and more, just steps from your door. 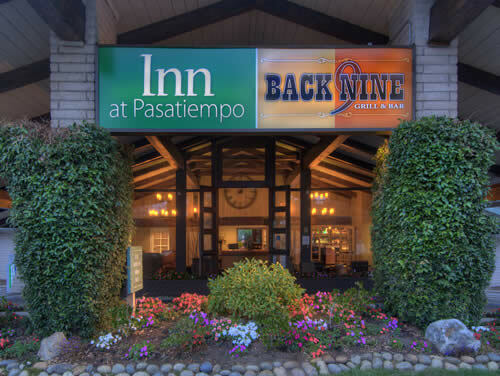 Recently renovated, each guest room offers incredible views of the ocean and Morro Rock. Each room features a 43 inch flat screen TV, a cozy fireplace, complimentary wireless, air conditioning, complimentary internet access, refrigerator and microwave. We also offer a light breakfast with a complimentary Espresso Bar.